I have been invited to speak at Design Action in Nybro/Pukeberg, Sweden tomorrow - Friday 21st September. I can only stay for a short while and I won't get to hear all of the other speakers. It's a pity as they represent an intriguing and diverse set of different points of view. Use Google Translate to translate from the Swedish. This afternon, the European Design Leadership Board set up by the European Commission under its European Design and Innovation Initiative, handed its report, 'Design for Growth and Prosperity' to Commission Vice-President Tajani in Helsinki. The Report sets out in detail the Board's 21 wide-ranging recommendations within these key areas. 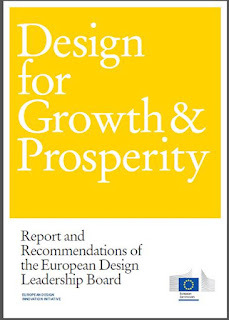 This much-anticipated report, (which I have had the privilege to edit with Tapio Koskinen the Director of the Secretariat of the Leadership Board and working closely with the team at the DG Enterprise of the European Commission), if taken on board by the wide range of relevant and expert stakeholders and actors intended, will have an impact in bringing a more systemic approach to policy-making for design at the European Level. It will stimulate actions and programmes across Europe to assist in embedding design as a key component of innovation success for the benefit of all of Europe's citizens. It targets both the private and public sectors as well as governments across Europe. It focuses on the needs of SMEs and seeks to support the journey of growth for medium companies with the ambition and capacity to become successful, design-aware, large companies contributing to Europe's economy. And of course, it seeks to embed design-led innovation behaviours within the hundreds of thousands of SMEs that make up the greater proportion of Europe's GDP and where Europe's design innovation future will be determined. Design Research, design consultancy, design education and design management are all seen as key tools for user-centred, design-led innovation. I offer my congratulations to the Commission for its foresight in setting up the European Design Leadership Board and acknowledge the role of the Design Leadership Board members in bringing the European design agenda to a next level of potential. Whilst there is no doubt that the challenges still to be faced remain daunting and complex, there now exists for the first time, a firm policy basis upon which to grow Europe's design capacity. To anyone who met him, Bill Moggridge always made an impression. He was the sort of man, (with a beautiful speaking voice), who always made you feel better for having met him. Reading on the BBC news webiste this morning, (from where I have copied this photograph), I see that his Associate Director at the Smithsonian Cooper-Hewitt National Design Museum in New York - where he has been Director since 2010 - says, "Beloved by the museum staff and the design community at large, Bill touched the lives of so many through his wise council, boundary-pushing ideas and cheerful camaraderie,". Good words.Thank you Bill for all that you achieved for and in design. Our world seems so much smaller without you. Congratulations to John Mathers on his appointment as the new CEO at the British Design Council. A design industry veteran, John brings a great deal of insight and knowledge to the post on the business of design. John was UK Chief Executive of The Brand Union for ten years after which he become Chief Operating Officer for Blue Marlin Brand Design. 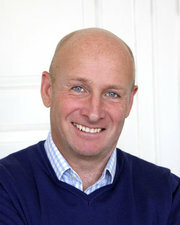 Subsequently, he joined packaging design specialists Holmes & Marchant as MD in 2009. 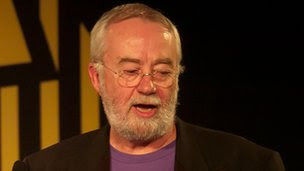 John is a former President of the Design Business Association in the UK.